Fans and non-fans alike can enjoy a show that right from the beginning is a party, and that party doesn't stop until the lights of the venue come on. 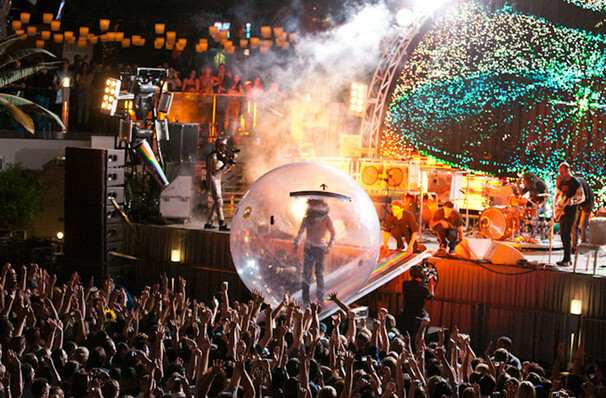 Why See The Flaming Lips with the Colorado Symphony? Wether floating above adoring crowds in a plastic hamster ball, eliciting euphoria with confetti canons and balloons, or bending mind with retina-searing laser light shows, The Flaming Lips and their eclectic frontman Wayne Coyne have a reputation for putting on one heck of a live show. The iconic indie pop innovators descend back to earth from their alien home in the cosmos for a special one off show with the Colorado Symphony this winter, injecting color, fun and otherworldliness into the chilly climes of Denver! Alongside the orchestra and the Colorado Symphony Chorus, Coyne and co will perform The Soft Bulletin album in its entirety. Released in 1999, the band's ninth studio moved away from their established rock sound into psychedelic territory with layered, intricate arrangements and writing. Largely considered to be the band's magnum opus, it heralded the fearlessly weird and wonderful Flaming Lips as we know them today. Sound good to you? 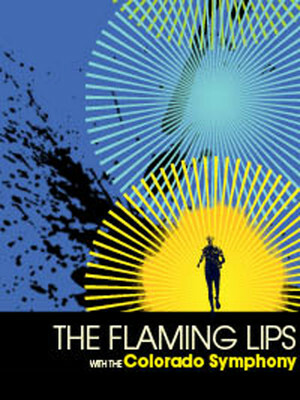 Share this page on social media and let your friends know about The Flaming Lips with the Colorado Symphony at Boettcher Concert Hall. Please note: The term Boettcher Concert Hall and/or The Flaming Lips with the Colorado Symphony as well as all associated graphics, logos, and/or other trademarks, tradenames or copyrights are the property of the Boettcher Concert Hall and/or The Flaming Lips with the Colorado Symphony and are used herein for factual descriptive purposes only. We are in no way associated with or authorized by the Boettcher Concert Hall and/or The Flaming Lips with the Colorado Symphony and neither that entity nor any of its affiliates have licensed or endorsed us to sell tickets, goods and or services in conjunction with their events.